Bermuda Triangle is the greatest unsolved mystery of the modern age. Also called Devil's Triangle. The bermuda triangle is certainly not fixed and its effect can be experienced outside of the triangle too. The disappearances are ascribed to UFO's and alien activity, city of Atlantis lost under the triangle, and ious other technical, natural and geographical reasons. Inside the Bermuda Triangle, US Government has AUTEC for Atlantic Undersea Test and Evaluation Center, which is located on the Andros Island of Bahamas. Here US Navy tests their submarines, sonar and other weapons. However many are of the view that it is more than just the testing center. 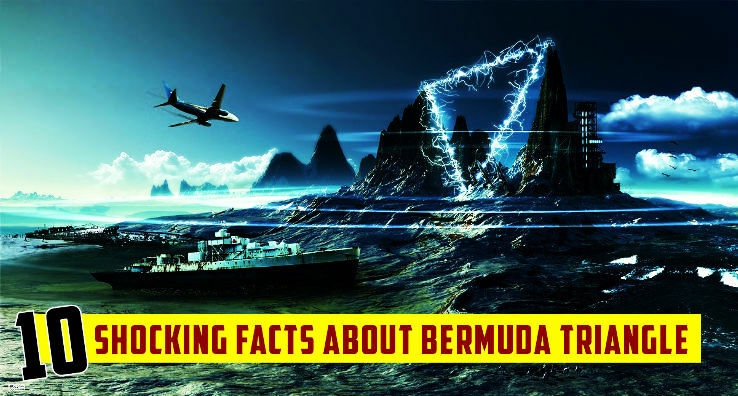 People have experienced electronic fog in bermuda triangle, which can be a Time Travel Tunnel too. Pilot Bruce Gernon claims he lost 28 minutes after flying through a time-warping cloud tunnel. The plane went missing from radars, only to re-emerge in Miami Beach. Source The Fog by Bruce Gernon. The first person to report about Bermuda Triangle was Christopher Columbus. He wrote in his journals that inside the triangle, the ship's compass stopped working and he also saw a fireball in the sky. One of the most mysterious places of the world is Bermuda Triangle. It is a triangular area An area shaped like a dented trapezium. in Western part of North Atlantic Ocean. This area enclosed by the ends from Bermuda Island to Miami Florida and San Juan Puerto Rico. The Miami city accomplished the Triangle's easternmost end. Here hundreds of people, aircraft and watercrafts mysteriously disappear into air or beneath the water. In a research US navy claimed that in real the Bermuda Triangle doesn't exist. Why is it such a mysterious place? What is the reason behind it? Where is Bermuda Triangle located and what is the length of this area? Is there a map? And do you get to confirm that when you cross the line and enter the area of Bermuda Triangle then what will be happen? Several types of questions arise in our mind. 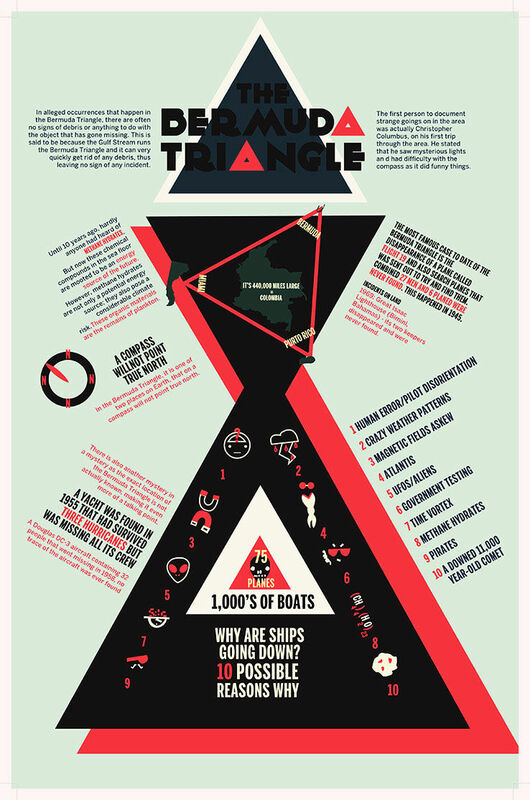 Bermuda triangle is a very mysterious area on the Atlantic Ocean and there is a myth about this triangle that at this place several types of disappearances have occurred, many ships and planes passing over it have disappeared. In the last hundred years, approx thousand lives are lost. On an average, 20 yachts and 4 planes go missing every year. And there is no evidence of disappearance. So people believe that devil lives here therefore they also call it "devil's triangle". But no one knows the exact reason behind it. Why do all of these big transportation machine go missing, but there are some stories and myths prevailing. Most of the disappearances have mainly taken place around the southern boundary of the triangle between Puerto Rico and Florida. The mysteries of the Bermuda Triangle have been documented for centuries, the Bermuda Triangle's infamy first started with Christopher Columbus. He wrote in his journals that inside this area, the watercraft's compass stopped working and he saw a fireball in the sky too. According to Columbus , when he looked down at his compass and observed that his compass was giving strange readings that day was October 8, 1492. He didn't take it seriously and a he did not inform his crew too, because having a compass that didn't point to magnetic north may have sent the exactly on border crew into the wildly unthinking behavior. This decision was apparently an ideal decision considering three days after when Columbus directly spotted a mysterious light, the crew got alarmed to go back to Spain.